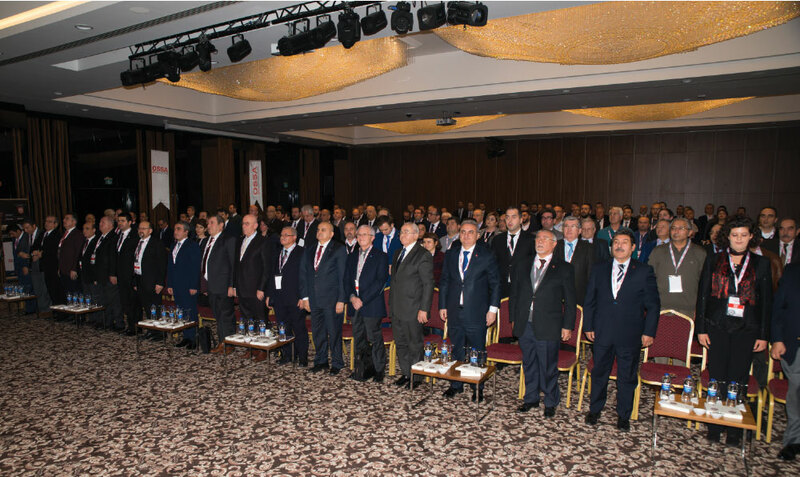 The 4th Ordinary General Assembly of OSTİM Defense and Aviation cluster OSSA brought together important actors of the sector. The Deputy Minister of National Defense Mr. Şuay Alpay, SSM Undersecretary Prof. İsmail Demir and many OSSA members attended the meeting together with senior representatives of foundations and public companies. The 4th Ordinary General Assembly Meeting of OSSA was held with the participation of the Deputy Minister of National Defense Mr. Şuay Alpay, AKP Ankara Parliament Member Mr. Emrullah İşler, Undersecretary of Defense Industries Mr. İsmail Demir, Ankara Chamber of Industry (ASO) President Mr. Nurettin Özdebir, Chairman of OSTİM Mr. Orhan Aydın, General Director of Military Factories Murat Akkaya, General Manager of Machinery and Chemistry Industry Institution Mr. Ahmet Taşkın, TAI General Manager Dr. Temel Kotil, Aselsan Chairman Mr. Mustafa Murat Şeker, Roketsan General Manager Mr. Selçuk Yaşar and OSSA members. In the General Assembly, the activities covering the period between 1 January 2015 and 31 December 2016 were summarized by OSSA Coordinator Ms. Hilal Ünal (she left her position on 20 January). 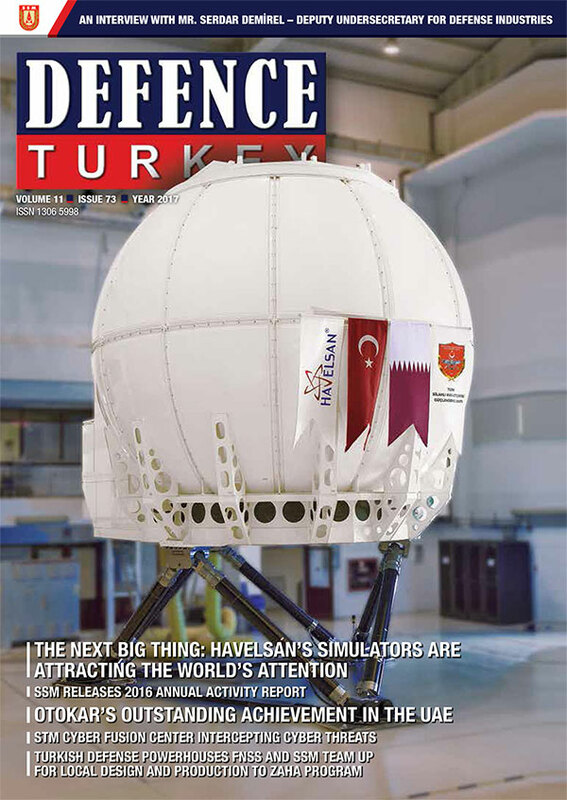 OSSA Chairman Mr. Mithat Ertuğ stated that Turkey, which had been importing almost everything for the defense industry until just a while ago, entered a maturity period and said that the volume of the sector exceeded $ 3.5 billion and the employment it created went beyond $ 50 thousand. “The sector offers significant opportunities to the SMEs. 30% of the total defense industry sector revenue comes from the SMEs consisting of sub-industry. This clearly indicates the importance of SMEs within the sector”, said Mr. Ertuğ. “In the inception period when the cluster was established, the business was perceived as ‘acquire the job and distribute it’. It was not so easy to break down the prejudices. First, there was a need to understand what the cluster was and to create a team spirit. The basis of OSSA’s motto -We are Stronger Together- was set in those days. We have industrialists standing behind us that are dedicated to this, and we are strong with them”, said Mr. Ertuğ. Following the presentation of the Board’s Annual Report and operating income-expense account, and the evaluation of the 2017-2018 activities, the members of the Board of Directors, Supervisory Board, the Full and the Reserve members were elected. After the voting, the deficiencies in the legislation, the incentives and support to be made, and the foresights were discussed by the sector representatives. The public and private sector representatives attended the General Assembly as guests evaluated the issues regarding the OSSA and their fields. The necessity of domestic and national production was emphasized and the contributions of collaboration with SMEs to the sector were mentioned. At the General Assembly, it was underlined that the physical infrastructure of the SMEs is still inadequate, and the related support was asked from the officials in order to reduce the physical infrastructure costs to reasonable levels. On the other hand, the critical importance of the presence of the authorities from the decision maker in the foreign lobbying activities was mentioned. It was underlined that the SMEs should be used more actively in the localization sub-systems activities and that the SMEs should be involved in the projects from the very beginning to increase the localization rate in new projects. Mr. Haluk Bulucu participated in the General Assembly on behalf of FNSS and underlined that the manufacturers in Turkey should be transformed into competent companies that are capable of designing instead of contract manufacturing. He also added that the industrialists in Ankara are in need of an evolution within this frame. Mr. Bulucu stated that many international companies in many European countries adopted the vision of Industry 4.0 and are launching to transfer their investments here, especially in Germany having an aged population. Mr. Bulucu emphasized that the industrialists, SMEs and sub-industry companies in Turkey should pursue these technologies in order not to miss the train. Following the presentation of opinions, suggestions and evaluations, speeches were made by the officials of the Foundation and Public Companies as well Deputy Minister of National Defense and Public Companies officials, Deputy Minister of the Ministry of Defense Mr. Şuay Alpay and Undersecretary for Defense Industries Prof. İsmail Demir. 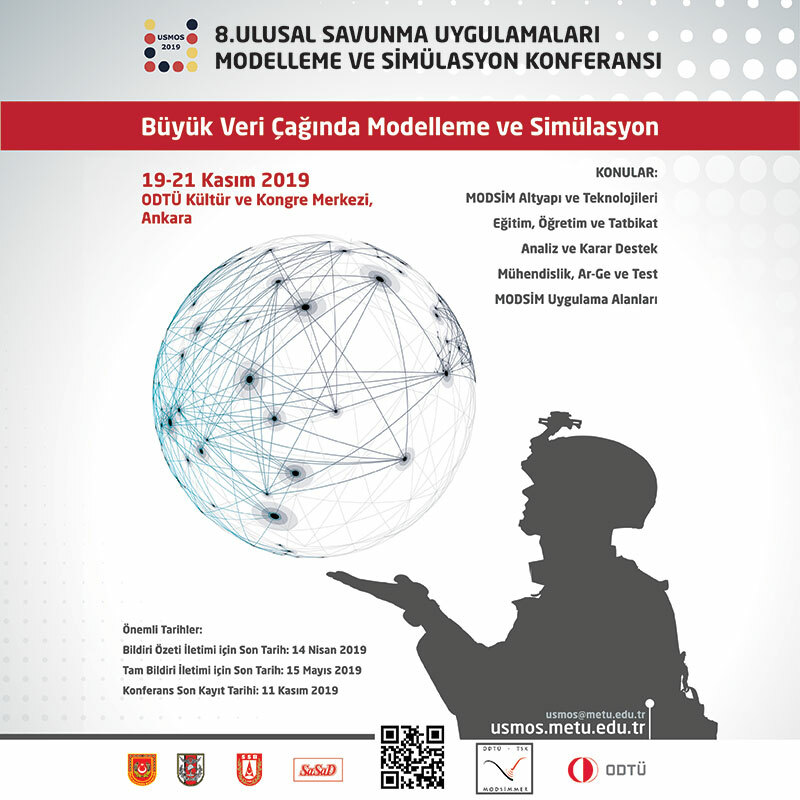 The Undersecretary for Defense Industries Prof. İsmail Demir said that the OSSA cluster should be an example to other sectors and clusters and that their support will continue as the Undersecretariat. The Deputy Minister of National Defense Mr. Şuay Alpay mentioned that they are aware of the importance of the work performed by the industry and industrialists and conveyed his thanks to everybody who carries this heavy burden. Supervisory Board (Full): Tolga Plastik, Akalın Isıl İşlem ve Çetek Makina.